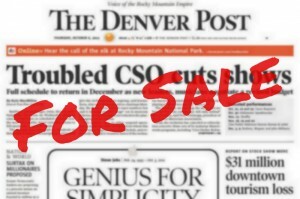 THE NON-NEWSROOM UNIT of the Denver Newspaper Guild and Denver Post representatives met Feb. 23. The amount of sick leave and unpaid time off provided in the current contract was discussed. Guild representatives explained that five days of sick leave per year isn’t always enough, especially when an employee has a long absence and uses all five days before short-term-disability pay begins. The fact that a lot of people are saving their floating holidays until the end of the year in case they need them for additional sick days was discussed. Also, the number of available unpaid family emergency days (currently two) was discussed. Management representatives explained their desire to change the full-time work week for some employees from a set 40 hours to 35 to 40 hours. They explained that advertising support work — including sales support, ad design, layout and insert ops — is seasonal with busy and slow times of the year. The Post would like the ability to schedule fewer hours during slow periods. Guild representatives explained that they believe there is enough work year-round to keep people in those areas busy. The issue will continue to be discussed in future bargaining sessions. The next bargaining session is scheduled for March 7. Why would management want to change the amount of sick time in the first place? I say this better be a non-negotiable for the union.